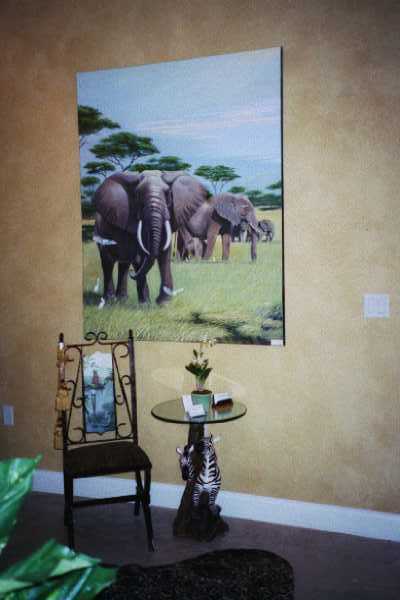 Nature and Wildlife, again played a role in the theme of this room. 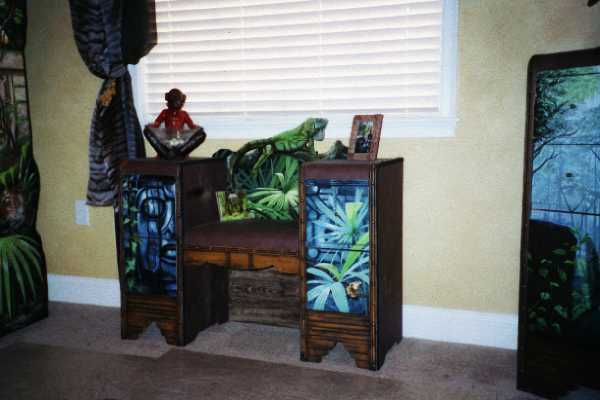 Our Rain Forest Room, with a simple just a faux on the walls, we used our Art Effects on the furniture. 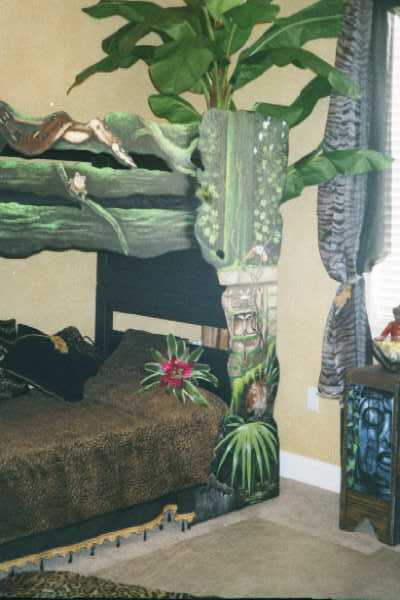 With the Rain Forest Theme carried thoughout the whole room. Each piece matching with a leather finish and murals on the fronts. 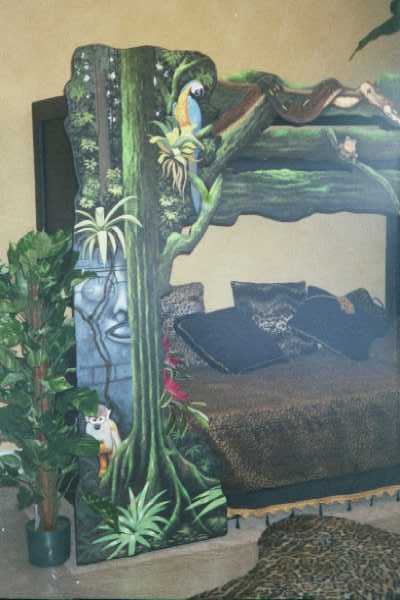 The Rain Forest Bed like all our others can be customized to your specifications and modified to any size. 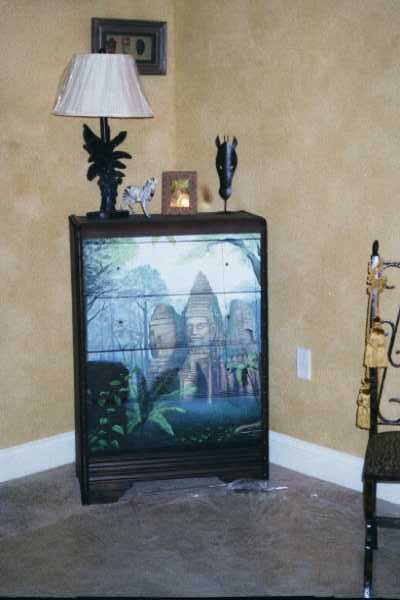 The dresser in the corner carries the same rain forest theme around the room. Each piece in this room can be used as a set or as individual pieces. Since each piece of our painted furniture and wood cut outs are custom designed and painted, personnel coorespondence is necessary. A small window seat keeping with the rain forest and jungle theme.